Sign Up for free to save time shopping Omaha Farms's wholesale products on LeafLink. Don’t let the name scare you! The only herbicidal warfare Agent Orange will wage is between the excellence of this strain's flavors and uplifting effects. A well-balanced hybrid that combines the smooth Orange Velvet with the bold Jack the Ripper. Wonderful smells of oranges and fresh-cut citrus fruit will entice you immediately, while the pigments of deep maroon and purple will make this bud stand out in a sea of green. The effects are uplifting and motivating, serving as a great mood enhancer if you are feeling lethargic or depressed. This Californian classic is a sativa-dominant cross of Blue Dream and a Californian (SD) Skunk parent. 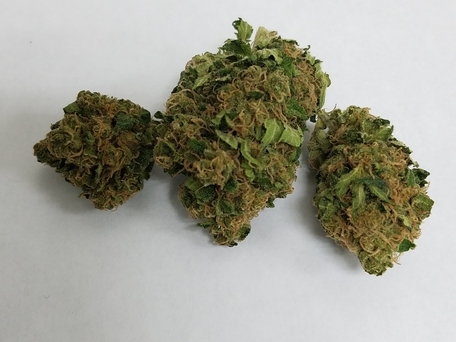 Cali Dream features the balanced slightly sativa-dominant effects of Blue Dream with the creative cerebral high of skunk, providing focused clarity throughout the day. Tropical terpene profile features hints of sweet berry, pine, and honey. Look for beautiful oversized flowers covered in large prominent trichomes. The sativa-dominant hybrid Double Dream puts a unique spin o the famed Blued Dream by crossing it with Dream Star. With a complex flavor profile that synchronizes sweet floral notes with berries and spice, Double Dream is a soothing and mentally invigorating strain that still allows clearheaded functionality. It's dreamy, euphoric buzz is anchored by a deep, physical relaxation that mutes pain, anxiety, stress and inflammation. Patients also turn to this uplifting strain for daytime release from PTSD, headaches and nausea. Dream Machine has a very prominent fruit/berry/tang terpene profile that dominates the palate. This Blue Dream cross provides Indica-dominant effects while not being overly sedative. A great choice for patients looking to stimulate appetite, unwind after a long day, or simply looking for a uniquely tasty genetic. Look for large green flowers accented with purple and pink hairs, and an impressive trichome set. With a heavy blanket of crystal resin, this strain is a solid choice for veteran consumers. A pure-blooded sativa, this flower will hit you with weightless cerebral effects and induce creativity and fits of laughter. Extreme green has a strong candy aroma with hints of butterscotch and caramel. 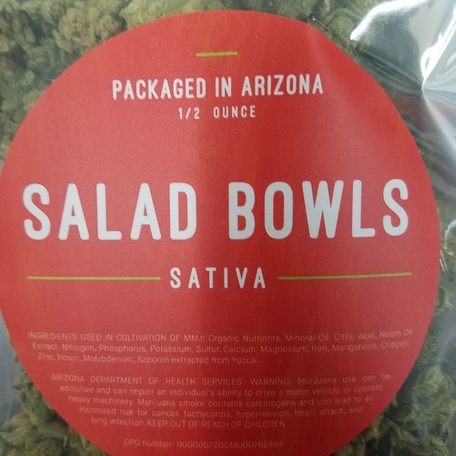 This strain is an excellent choice for patients looking for a creative spark to start the day or a little motivation to clean around the house. Grape Ape, propagated by Apothecary Genetics and Barney’s Farm, is a mostly indica strain that crosses Mendocino Purps, Skunk, and Afghani. Named for its distinct grape-like smell, this indica is known for providing carefree relaxation that can help soothe pain, stress, and anxiety. Its dense, compact buds are wreathed in deep purple leaves which darken as this indica reaches full maturation following its 7 to 8 week flowering time. Incredible Bulk is a mixture of three notable indicas. Big Bud combines with Super Skunk and Green Spirit to create the sweet earthy flavors of hash that usher in Incredible Bulk’s relaxing effects. Its sedating effects make Incredible Bulk a great choice to help you unwind at the end of the day. Originally bred by Dr. Krippling for its heavy yields and ease of growth, Incredible Bulk is a very stable plant that makes a compelling case for indoor cultivation. The buds are known to explode in size when grown hydroponically. KO Kush has strong Indica-dominant effects perfect for end of day consumption or patients looking for a restful, calming experience. A rich terpene profile has pungent notes of earth and sour. Tight, green bud structure coupled with contrasting and orange/red hairs make this knockout hard to miss. This cannabinoid rich strain is not for beginners, or those with a sensitivity to THC, be sure to check total cannabinoid content prior to consumption. Tahoe OG is the perfect rainy-day strain. Strong and fast-acting, you may not want to use this strain when you’re planning to leave the house. Great for those suffering from insomnia, pain, or lack of appetite, Tahoe OG has made a name for itself among other indicas. A top nighttime strain, it provides an extremely lazy, heavy body sensation. Due to superb breeding, Tahoe OG embodies all of the typical indica effects with an added euphoric, sativa-like kick. This strain features an earthy, lemon taste, and is a phenotype of OG Kush. Tropic Thunder is a mysterious Maui Waui cross that exhibits colorful buds and floral aromas. The strain’s potency makes it suitable for consumption any time of the day, offering a mellow and manageable buzz that elevates the mood and alleviates stress. Its floral aroma transforms into a bitter, herbaceous mixture of flavors upon combustion or vaporization.